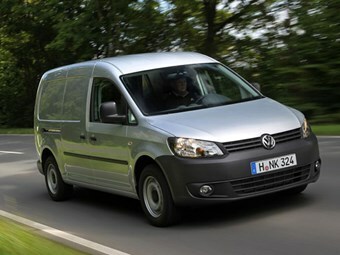 Australian VW Caddy owners should check if their vehicle is affected. Volkswagen Australia has revealed 17,256 of the 90,000-plus VW, Audi and Skoda vehicles fitted with emission-evasive software in Australia are commercial vehicles. The company has confirmed reports that 91,177 Australian-owned vehicles, built between 2009 and 2014, with either a 1.6L or 2.0L four-cylinder EA 189 engine, are included in the global scandal that has engulfed the German giant and impacts over 11 million vehicles worldwide. While it had been predicted that the Transporter and Crafter models could be apart of the 1.8 million commercial vehicles affected globally, it appears that the issues are contained to just the Caddy and Amarok variants in Australia. In a statement on its website, Volkswagen Australia says it "deeply regrets these issues and wants to ensure that our owners are well-informed about our action plan and next steps regarding this topic". As part of its action plan, the car maker has provided a webpage for owners to enter their Vehicle Identification Number (VIN) on the relevant brand websites (www.volkswagen.com.au, www.audi.com.au, www.skoda.com.au and www.volkswagen-commercial.com.au). "On this website you will find information, updates and answers to some of your key questions," the company says. "We will post new information as it becomes available to us. "Rest assured that we are working tirelessly to remedy the problem, and that we will work as hard as we can to get you more answers." The Australian Competition and Consumer Commission (ACCC) is also searching for answers, with chairman Rod Sims indicating last week that an "enforcement investigation is a priority for the ACCC". "First, using defeat devices is specifically prohibited under the Australian Design Rules, which are picked up as Australian Consumer Law (ACL) mandatory safety standards," Sims says. "As the enforcer of the ACL, the ACCC can take action against any corporation that has breached mandatory standards. "The ACCC will be seeking marketing materials from VW Group and will not hesitate to take action if consumers were exposed to false, misleading or deceptive representations." Breaching the ACL can cost a company $1.1 million per issue per model, and with fuel economy and emissions counting as two, Volkswagen Australia could be up for a hefty bill. Reports also indicate that the maker could then face fines of $108,000 per vehicle as they were approved for use on Australian roads under false pretences. Responsible for the country’s motor vehicle issues, federal territories, local government and major projects minister Paul Fletcher says the government is backing the ACCC and Volkswagen Australia to "ensure the public remains informed and appropriate steps are taken to rectify this issue." It is believed 54,745 VW passenger cars are affected, along with 14,028 Audi cars and 5,148 Skoda vehicles. The affected passenger vehicles include the Volkswagen Golf, Polo, Jetta, Passat, CC, Eos and Tiguan; the Skoda Octavia, Yeti and Superb; and the Audi A1, A3, A4, A5, A6, Q5 and TT. Volkswagen has indicated that all affected vehicles are safe to drive and recalls should begin in January to be completed throughout 2016.